Moonlight Designer Series Paper has such a great color pallet. I love the mix of gentle patterns with the bold and fun ones. It's got a nice mix of backgrounds and accent patterns that you can use for a variety of cards. 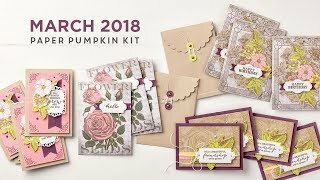 On these cards, I used the Bloom With Hope stamp set, a Hostess Set from the 2014-15 Catalog, and the wildly popular Lotus Blossom from the Occasions 2015 catalog. These cards don't have too much stamping, but let me just say, the layouts are deceptively simple! The patterns and angles on a couple really challenged me, and thus, I paired them with some simple but decidedly easier cards! or you could use it for One-Sheet Wonder cards too. First, this layout seemed simple enough, but when you get down to the angles and cutting, mixed with the busy patterns I picked... Well, thank goodness for my math skills!! After all the patterns, and angles, and measuring, oh my! I went back to the tried and true rectangular layers. A nice soothingly calm color scheme, tranquil layered stamping. This was Much Better!! Back to busy, this layout was so easy! Except. I chose a shape that is not easily free-hand cut. Punching the smaller honeycomb shapes & layering was the nice, easy, part of this card. 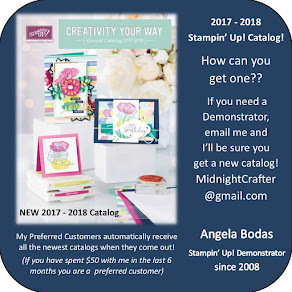 The stamped sentiment shape took more than one try. More. Than. One. And lastly, this panel layout is actually very easy. The tricky part is in spacing & sticking those floaters on! But all's well that ends well! Those special offers end March 31, 2015! !